Every business that wants to succeed online needs to have a clearly defined digital marketing strategy. This is no longer optional but a ‘must have’ for companies who want to survive in the World’s most competitive market, the Internet. As a Digital marketing manager, one of my tasks is to explain to my clients why they need to have a complete digital marketing strategy and how to make it work for the benefit of their business. There are many reasons why you should have a digital marketing strategy, the most important are outlined below. #1 – It’s not about SEO and Social Media anymore – A few years back when someone was talking about digital marketing, marketers thought about SEO. Later that perception changed and social media came into the picture and it is very common today to associate digital marketing with social media and seo. 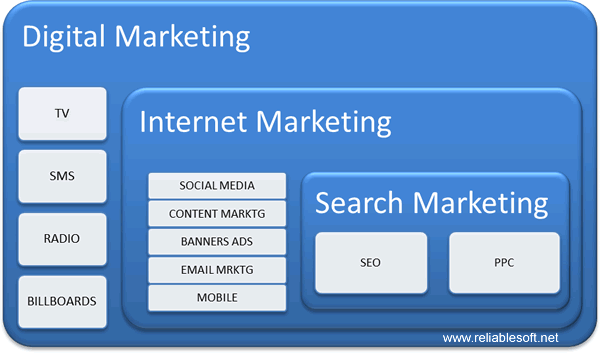 As you can see from the diagram below, digital marketing has a lot more pillars including content marketing, mobile marketing, email marketing and more. Social media and SEO is only part of the equation. A well planned digital marketing strategy will help you utilize all available channels for promoting your business online. #2 – You need a strategy and a plan – If you don’t write down your digital marketing strategy that includes what you want to achieve online and how to actually do it, then it’s like driving with your eyes closed. By preparing a strategy together with a plan, you will know exactly which tools to use, how to use them and what to expect as realistic results from each tool. In addition, a plan makes it easier to communicate your goals within your business so that all departments are aligned with your strategy. #3 – Do it before the competition – Sooner or later every business will get into the digital marketing game and things will become even tougher. To get ahead of the game, you should take your online promotion more seriously and the best place to start is by creating a digital marketing strategy. How to ensure that your digital marketing strategy will generate the expected results? Obviously the best way would be to hire a digital marketing company that did this before so you will know what to expect without worrying about the how. In many cases though, small business owners prefer to handle the digital marketing part in-house (or part of it) so it’s good to know how to make it work (or at least increase your chances). The following digital marketing tips will help you out. #1 – Decide which tools to use and when – I mentioned above that digital marketing has a number of tools but if you try and use everything at once (without having the experience and personnel), it’s not a good idea. 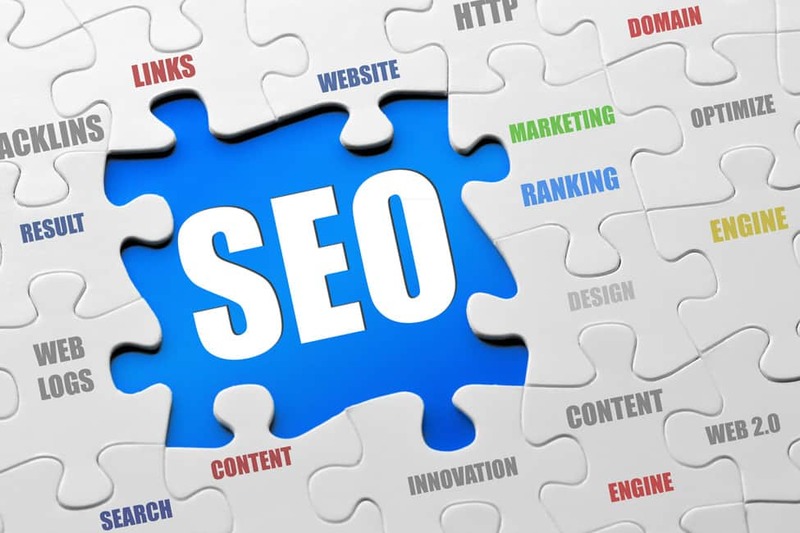 SEO – Takes time to generate results and it is an ongoing process. As a first step you need to ensure that your on-page SEO is correct and then plan for the rest of the SEO tasks (off-page SEO, more content etc) as part of your monthly process. #2 – Don’t forget about content marketing – Content marketing is these days more important than ever. If you think about it, the web is all about content and having the right content published in your website can make a big difference for success or failure. I won’t go into many details here (I will cover this in a new post) but remember that content is important for getting traffic from SEO and Social media and also for converting visitors into customers. #3 – Don’t forget about email – Email marketing is still one of the most important digital marketing tools. It should be part of your digital marketing strategy as a way to promote your business and also as a conversion goal i.e. one of your goals should be to increase your email list using all available techniques. #4 – Be prepared to pay for promotion – Whether it’s for running a ppc campaign or promoting your posts on FB or your messages on twitter, paying for promotion is unavoidable. A good digital strategy comes with a budget and this is required since many platforms (Facebook for example) make it harder to reach your target audience without paying for advertising. #5 – Measure your progress – One of the nicest things about digital marketing is that everything is measurable. When running any type of campaign you know how many people saw your campaign, how many people visited your website, what they did afterwards etc. In order to manage all these numbers correctly you need to measure them accurately (using the right tools) but also store them so as to calculate progress made, costs and profits involved. Without tracking and monitoring a digital marketing campaign is in a way useless. Every business, small or large, needs to have a digital marketing strategy. The strategy should include (among other things) what tools to use, how to use each tool, what to expect from it and how you measure progress. The online World is very competitive and good results may take time and during that time you will have to work hard and even spend money to get the desired outcome. The good news though, is that if you do everything correctly the Internet can open new doors for your business and assist in its growth. Thanks for commenting, glad you found my post useful. I liked that you talked about how you shouldn’t forget about email and how that can help you with getting the work out about your business. Personally, I check my email every day so, I don’t get massive amounts of unread emails. It does seem like email would be a great way to market to people like me. Excellent.. I found very interesting post, you shared good strategy of digital marketing for small business. Thanks for sharing details with us. Thanks for this nice article. Digital marketing analytics allows you to more effectively use your resources and allocate your marketing budget. Since you are no longer guessing about what’s working and what isn’t, you can reduce unnecessary expenses and focus your efforts on the strategies that are most likely to improve your ROI. Small business should never be too busy with digital marketing since they are still starting. Focus more on the business itself first in making your own name.